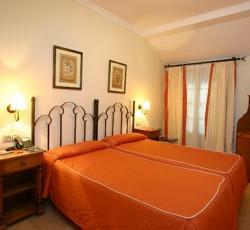 This contemporary hotel lies within the historical center of Malaga, capital of the Costa del Sol. It is set opposite the well known Tribuna de los Pobres, the centre of the citys Easter celebrations. Extremely helpful and friendly cafeteria staff, very cheap food, room service, clean, hot showers. what's not to likeIt is a hotel though. Extremely helpful and friendly cafeteria staff, very cheap food, room service, clean, hot showers. what&'s not to likeIt is a hotel though. Very clean and safe. It was a hotel not a hostal which was a nice change! * Hotel Tribuna rated 4.8 out of 5 based on 5 customer reviews. Hostel reviews with a star rating are sourced from HostelBookers. If you find Hotel Tribuna with the same booking conditions at a lower rate somewhere else on the internet after you have booked, we will refund you the total difference.